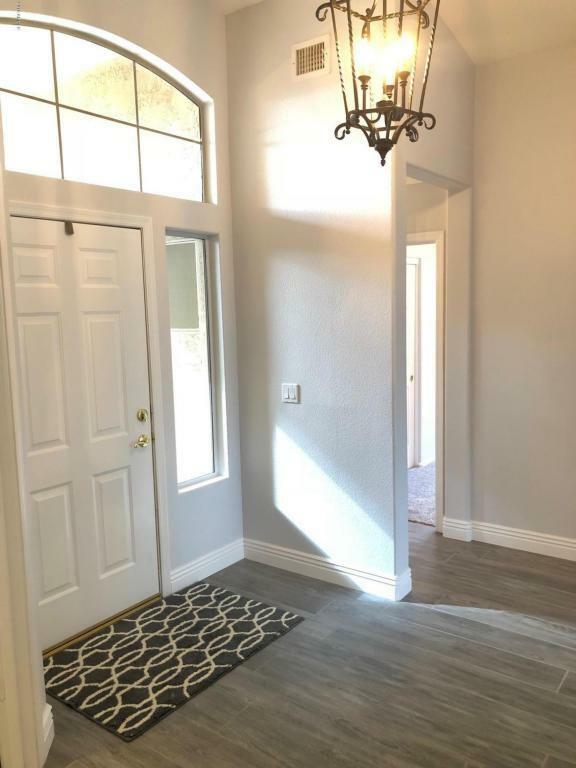 A RARE OPPORTUNITY TO OWN THIS NEWLY RENOVATED 3BED/2BATH HOME ON PRIVATE LOT IN CARINO ESTATES.THIS SINGLE STORY HOME IS ON CUL-DE-SAC LOT THAT BORDERS THE COMMUNITY GREENBELT & HAS ONLY 1 NEIGHBOR! !PRIVATE BACKYARD HAS SPARKLING PLAY POOL,COVERED PATIO w/NEW FAN, VIEW FENCING & LUSH LANDSCAPING! INSIDE EVERYTHING WAS TOUCHED ON THIS TURN KEY RENOVATION W/FRESH NEUTRAL DECORATOR PAINT T/O, NEW ''WOOD-LOOK'' TILE FLOORING IN ALL TRAFFIC AREAS & DEN, NEW PLUSH CARPET & NEW 4IN BASEBOARDS.THIS HOME FEATURES COMPLETE CHEF'S KITCHEN W/NEWLY REFINISHED CABINETRY w/PULLS,NEW GRANITE SLAB COUNTERS, NEW 4 PIECE ''SAMSUNG'' STAINLESS APPLIANCE PACKAGE W/ELECTRIC COOKTOP, SELF CLEANING OVEN, BUILT-IN MICROWAVE, 25CF REFRIG W/ICEMAKER TOO! BREAKFAST BAR, PANTRY, NEW SS SINK, NEW DISPOSAL & BREAKFASTROOM THAT LOOKS OUT TO YARD. THIS AMAZING GREATROOM HAS VAULTED CEILINGS, LOTS OF WALL SPACE & DESIGNER NICHE WALL. OPEN FLOORPLAN MAKES THIS AN ENTERTAINER'S DREAM. 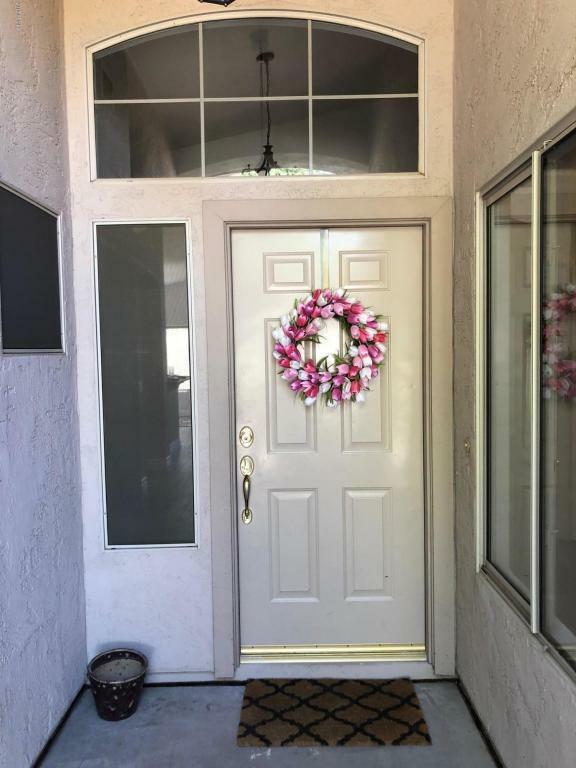 HUGE MASTER HAS OWNER'S WALK IN CLOSET, SHOWER W/NEW ENCLOSURE & GARDEN TUB. BOTH MASTER AND HALL BATH HAVE REFINISHED VANITIES W/STAINLESS PULLS, DOUBLE SINKS, NEW "WATER SAVER" ELONGATED TOILET,NEW SHOWER HEAD, NEW FAUCETS & FIXTURES T/O! INTERIOR LAUNDRY COMES W/YOUR OWN WASHER & DRYER. FRESHLY PAINTED GARAGE. 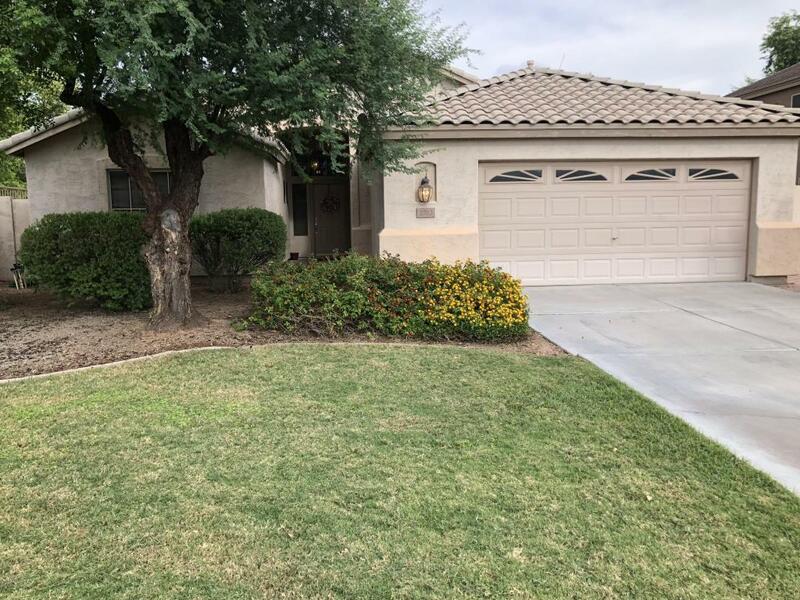 A+ CHANDLER SCHOOLS, WALK TO COMMUNITY PARK & SHOPPING. YOU'LL LOVE THIS WONDERFULLY MANICURED YARD & MOVE-IN READY HOME. 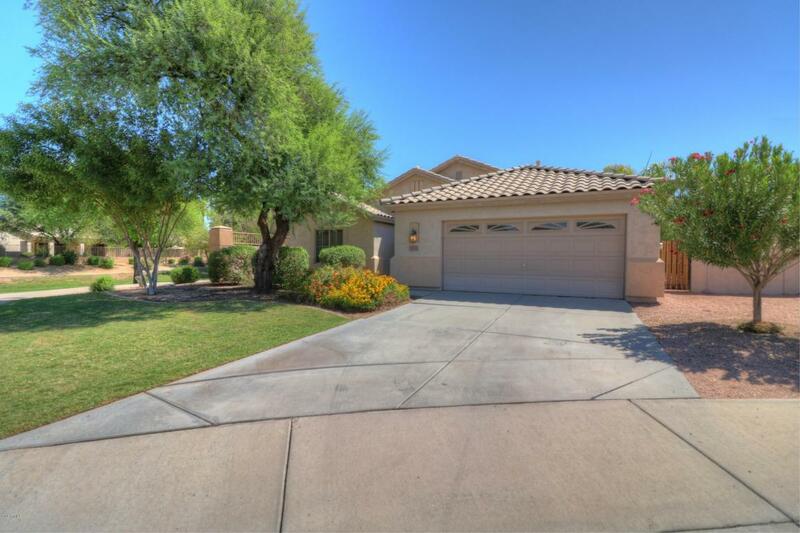 MINS TO 101 & 202 FREEWAYS, 10 MINS TO CHANDLER MALL & 25 MINS TO SKY HARBOR! Cross Street Alma School Rd & Queen Crk Rd.